Lylove Studio : It's showtime again! We will be exhibiting at both PRINTSOURCE in New York and HEIMTEXTIL in Germany! It's showtime again! 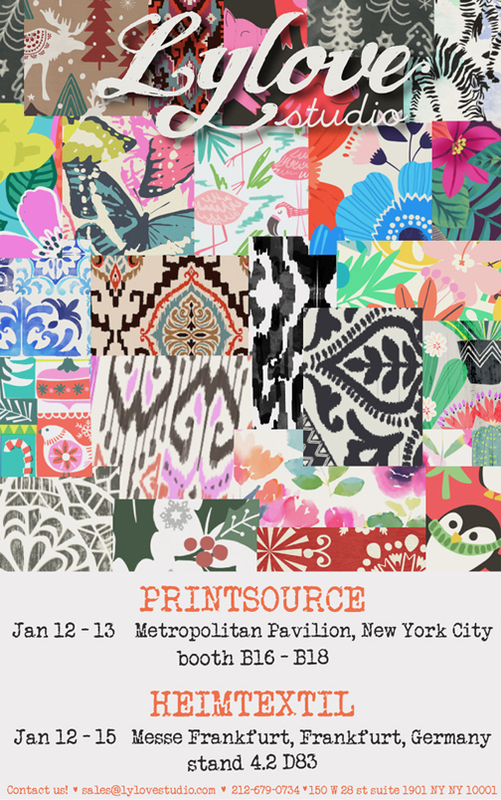 We will be exhibiting at both PRINTSOURCE in New York and HEIMTEXTIL in Germany! So please stop by.. say hi..and shop our fab collection!